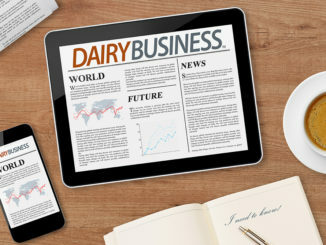 Dairy Farmers of America (DFA), a global dairy foods company owned by family farmers, recently announced plans to continue partnering with the Sprint Accelerator through 2019. 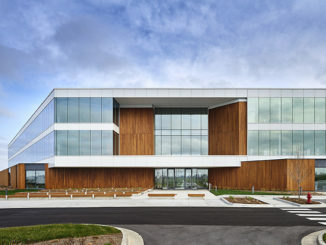 The Accelerator, located in the Crossroads Arts District of Kansas City, is an innovative, 90-day program that helps accelerate and grow startup businesses. 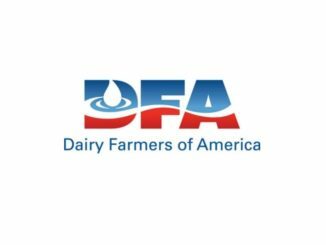 For the 2019 program, DFA will again sponsor both the ag tech and dairy food product segments. DFA’s sponsorship announcement for the 2019 program was made at the 2018 Accelerator Program Demonstration Day recently held in Kansas City, where CEOs from the participating startups presented their ideas. Pharm Robotics from San Jacinto, Calif. Pharm Robotics is developing robotic systems to automate the administration of animal health products in dairy cows. Ripe Technologies from San Francisco, Calif. Ripe is transforming the food supply chain using blockchain technology to enable data transparency, so we know where our food is from and what has happened to it. SomaDetect from Fredericton, Canada. SomaDetect is a precision-dairy company creating an in-line system for measuring every compound of interest in raw milk, including fat, protein, somatic cells, progesterone and trace antibiotics. Cheddies from San Antonio, Texas. Cheddies aims to provide all consumers with a cheese cracker that has added nutritional benefits. These benefits include 10 grams of protein, 12 grams of carbohydrates, no artificial flavors or colors and 0 grams of sugar. MoPro Nutrition from Birmingham, Mich. MoPro is the first Greek yogurt infused with CFM Whey Protein Isolate that contains 24 grams of protein per serving and is low in sugar. Too Cool Chix from New York, N.Y. Too Cool Chix creates delicious, all-natural ice cream sandwiches free of artificial ingredients and stabilizing gums. Additional details for the 2019 Sprint Accelerator program will be available later this year.